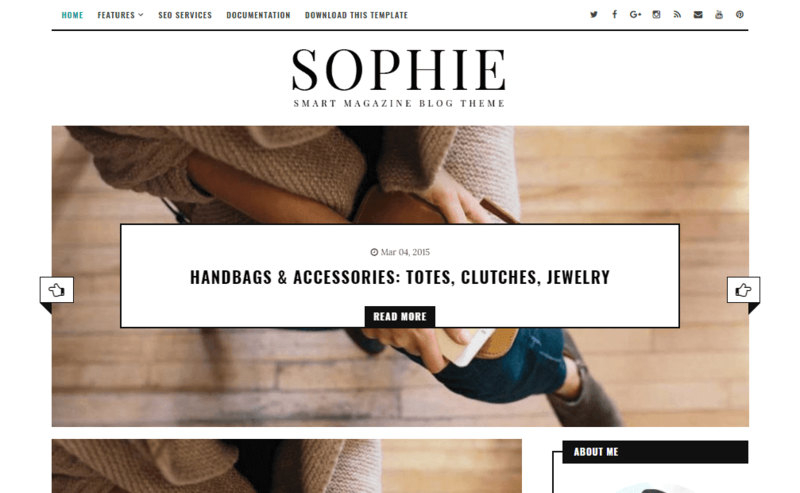 Sophie is among one of the finest Minimalist Blogger Templates designed by Us with professional skills of development and designing minimalist blogger templates. This template has a innovative Featured Slider which also supports video thumbnails, it has a premium design with more accessibility to the social media for the users. It is a fully responsive blog templates design which adapts its preciseness of design on any device such as mobile, computers, tablets, etc. Following are some of the key features of Sophie blogger template.